Super Mario Odyssey has made records. In just five days, Super Mario Odyssey for the Nintendo Switch sold more than 1.1 million units in the U.S. alone. Those sales numbers mean that it is the fastest-selling Super Mario game ever in the U.S., surpassing the New Super Mario Bros. Wii game. 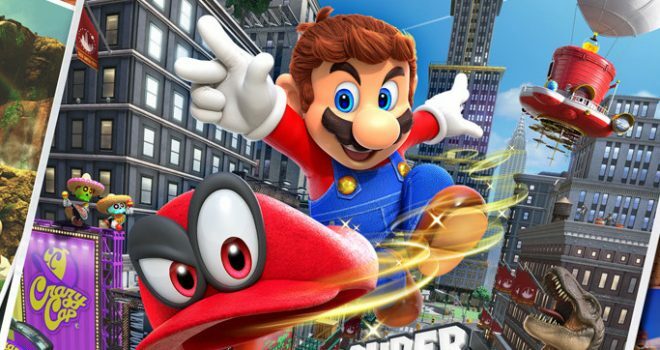 Super Mario Odyssey is also the fastest-selling game so far for Nintendo Switch. The game has also been a critical sucess with a Metacritic review average of 97, with 43 perfect scores. This makes Super Mario Odyssey the best-reviewed game on Metacritic for any system of the last three years, tied only with The Legend of Zelda: Breath of the Wild. With the Nintendo Switch likely to be a hot seller over the holidays Nintendo is also planning a Switch bundle with Super Mario Odyssey.